“Damn” is a word that means everything and nothing, offers intrigue and denotes frustration. It is a word that signifies everything that is good and everything that is bad — at the same damn time. I imagine Noah offered a “damn” of his own as he opened up the roof of the ark to see the dry land in Genesis 8:13–14. A “damn” of thankfulness that he and his family survived the torrential rains that fell for 40 days and 40 nights. A “damn” that recognized that the punishment that came for those who didn’t heed the warning of the imminent danger didn’t harm his family. But I also imagine Noah offered a “damn” that wrestled with the loss of life and property. A “damn” that had to reckon with what it meant to be the only one that God would save. A “damn” that reminded him that the “blessings” we count are also met with great sorrow. It was on the first day of the first year that Noah would see dry land for the first time — but it would be another 27 days before he would be able to leave the ark. Damn. Why’d God make Noah wait so long to return to the earth? The land was dry. The water had receded. Things were safe. Right? Maybe God was wrestling with what it would mean to put wo/mankind back on the earth — the holding place for the suffering of so many, the place where the voice would cry out “I don’t belong here!” Where their lives would nestle into the grooves of society’s margins. A place where there’s “hound dogs on my trail, school children sitting in jail…” Where water pipelines would be used to cut off life to Native Americans in the Dakotas and prison pipelines would be used to cut off life to Black and Brown children in urban cities across America. Maybe God was thinking long and hard about what it meant to put people back on the earth — a place where people feel like today may “be their last.” Where their final breaths would be live streamed on social media platforms for the world to see. 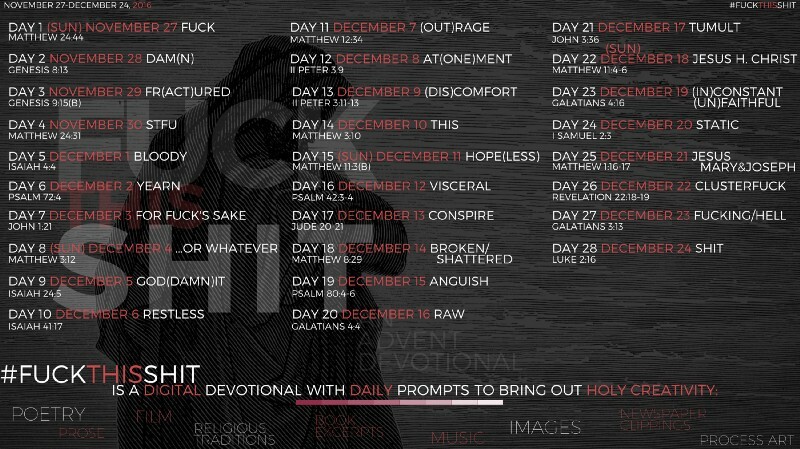 What was God thinking between day one and day 27? The text does not tell us. But I imagine God was wrestling with what it meant to bring humans who would sow seeds of discord and manipulation back to fertile, dry soil. I imagine God was at war with Godself to assess whether or not it was worth the time, energy, and love needed to change the hearts of his greatest creation. Would they change? Could they change? I imagine God and the Holy Spirit said to each other, “Can’t you see it? Can’t you feel it? It’s all in the air!” as the pressure to decide when to let Noah off the ark mounted — something had to be done. Noah and his family had to be released from the ark. And as we know the story goes, Noah leaves the ark with a mandate to repopulate the earth and it would be a rainbow that would forever remind Noah and us that the promise to not destroy the earth by water was a sure thing. I imagine that God was nervous about this, nervous about letting people back into the very earth God destroyed because of their disobedience and hatred toward God and others. But God did it anyway. Hope and love prevailed. This Advent season, we wait not just for the commemoration of the birth of Christ, but also for the opportunity to think of what it is we will do when the land becomes dry. Will we give a damn about the lives that were destroyed before the rain fell? Will we give a damn about the structures that perpetuated the evils that called for God to destroy the land and its people in the first place? Will we give a damn that there’s an opportunity to do something new, innovative, and liberative to allow the inclusion of all people? Now is the time to give a damn that God has given us another opportunity to get it right. The water has receded. The land is dry. We wait for God to give us the signal that it’s time to make good on this new season.